Journeys to help automate Salesforce. 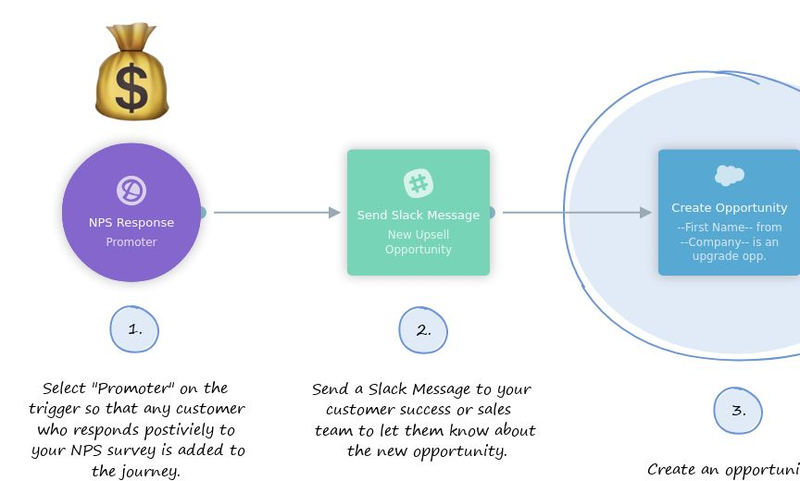 Increase the amount of customers that you upsell by turning NPS promoters into Salesforce Opportunities. 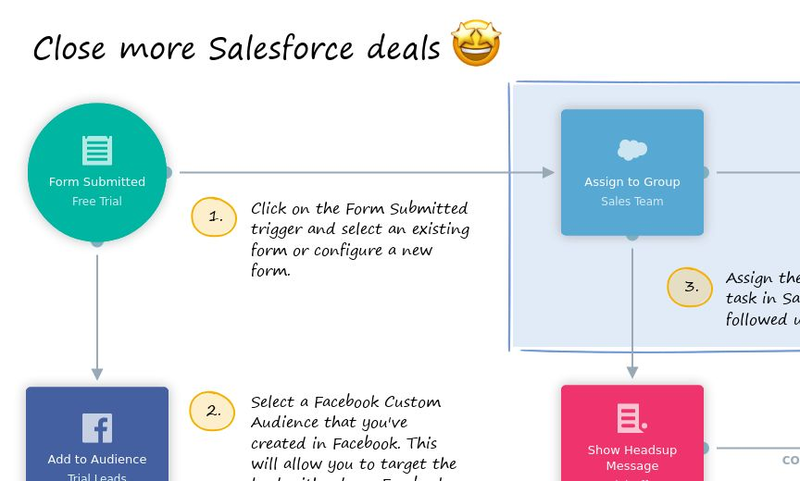 Close more Salesforce deals by following up faster using personalized multi-channel communications such as email and Facebook ads. 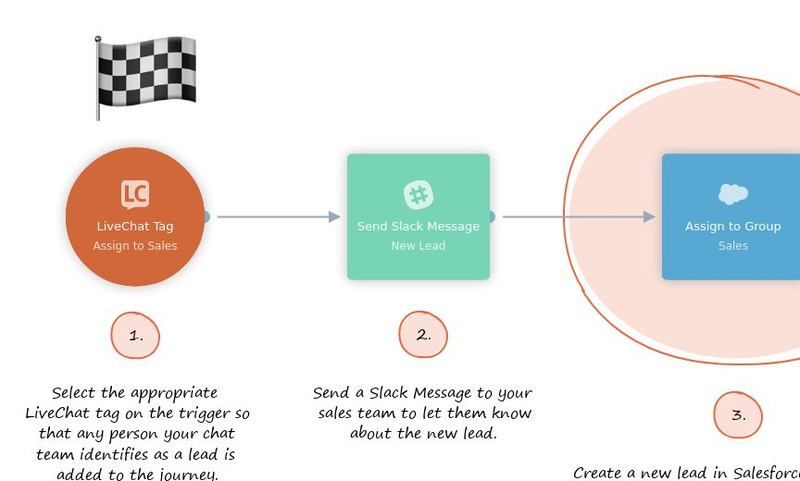 Make it simple for your live chat team to convert people into Salesforce Leads so your sales team can close more deals. 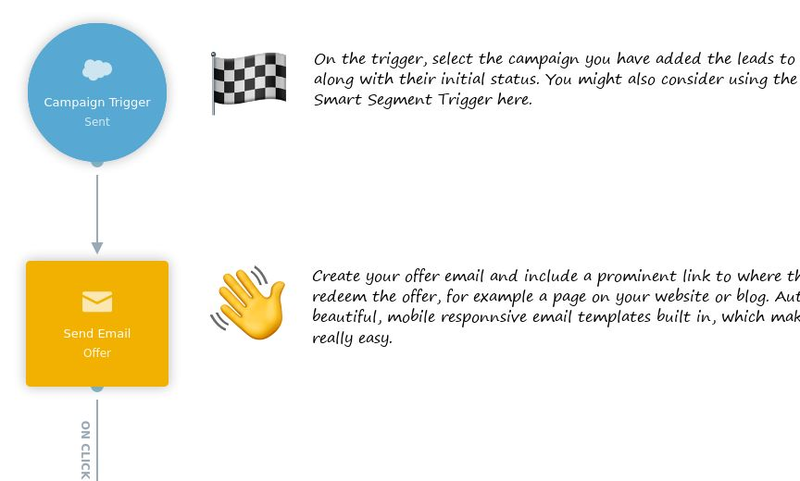 Update a lead's campaign status in Salesforce when they click through to claim an offer. You can then use this data to measure ROI in Salesforce. 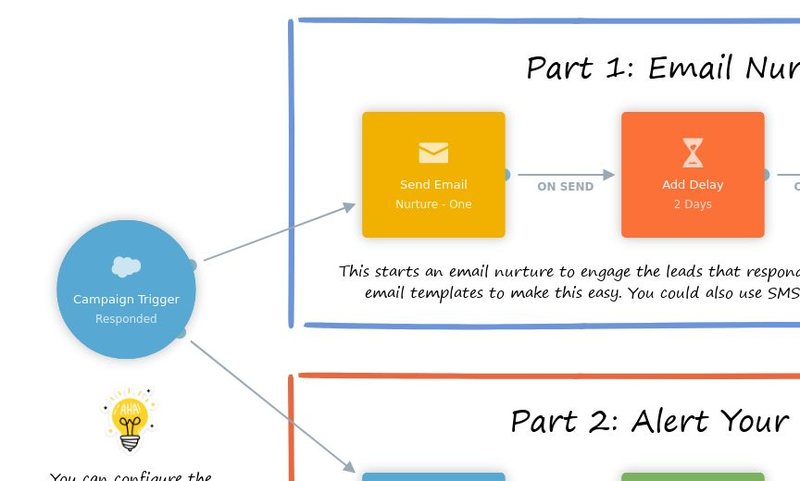 Increase your conversion rate by nurturing leads who respond to your Salesforce campaigns.